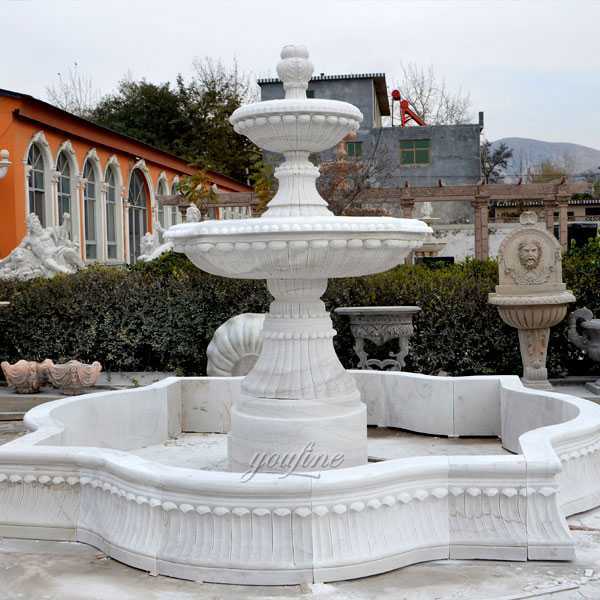 This Large Modern Beige Marble Garden Fountain is just carved finished by our craftsmen recently spending about 20 days, for our American friend who want to place this elegant beige marble fountain to decor his backyard.He and his family saw this work,and they are very satisfied for our piece,and at the same time we are proud of our skill.YOU FINE ART SCULPTURE is professional in the region of marble carving since 1983. 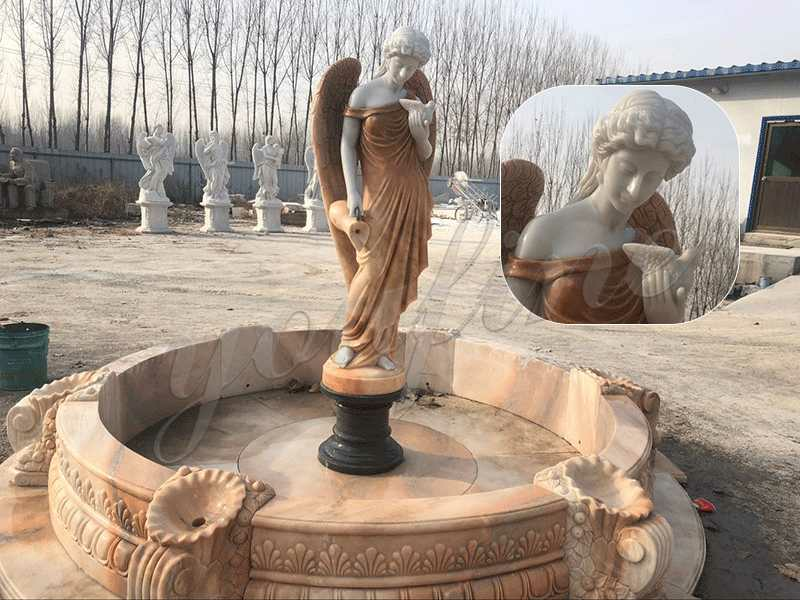 If you’re looking for a way to bring soothing ambiance to the sanctuary of your home or office then Large Modern Beige Marble Garden Fountain is the perfect choice. 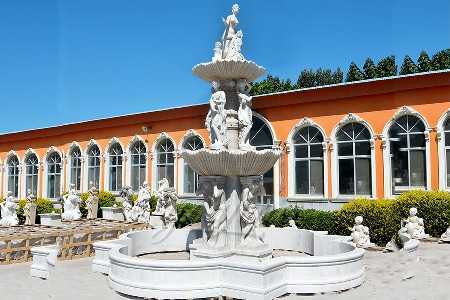 The sound of water has always been considered calming, like the babbling brook or the gentle lapping waves. 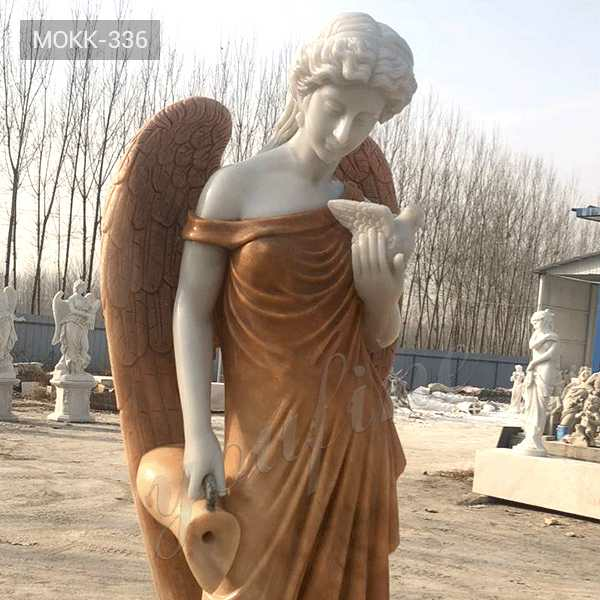 Create instant harmony in your home or workplace with our decorative & natural humidifying water fountains. 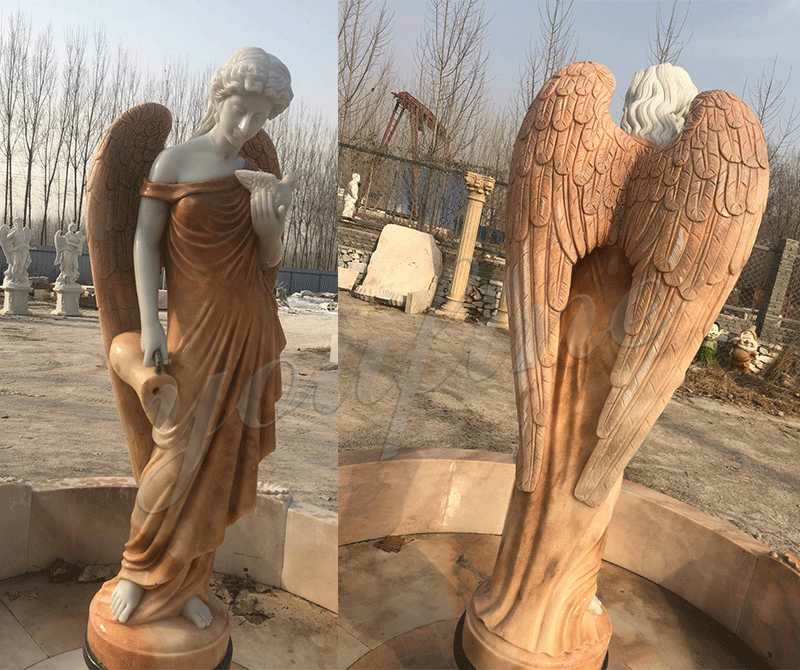 Many people find the sound of running water to be soothing.While a stream in your backyard would be perfect,few people are lucky enough to have a natural stream on their property.If you’re not one of these people,don’t fret! 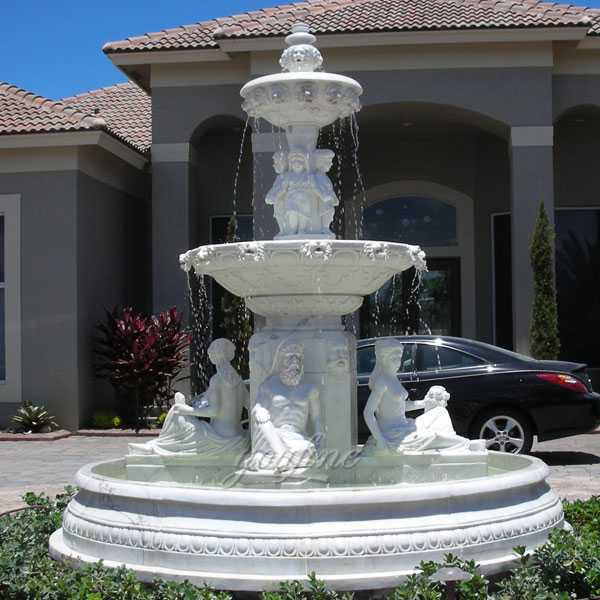 You’ve got options.An outdoor fountain can offer you the therapeutic sound of running water without having to buy a new home. 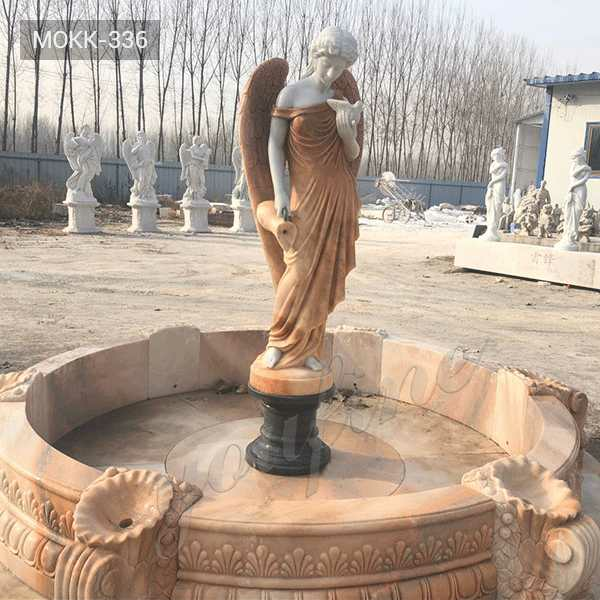 Beautiful Large Modern Beige Marble Garden Fountain offered by YOU FINE ART SCULPTURE is elegantly crafted from natural marble.Marble fountains are something which can enhance home.Its breath-taking beauty due to intricately crafted marble makes it a wonderful addition to your garden. 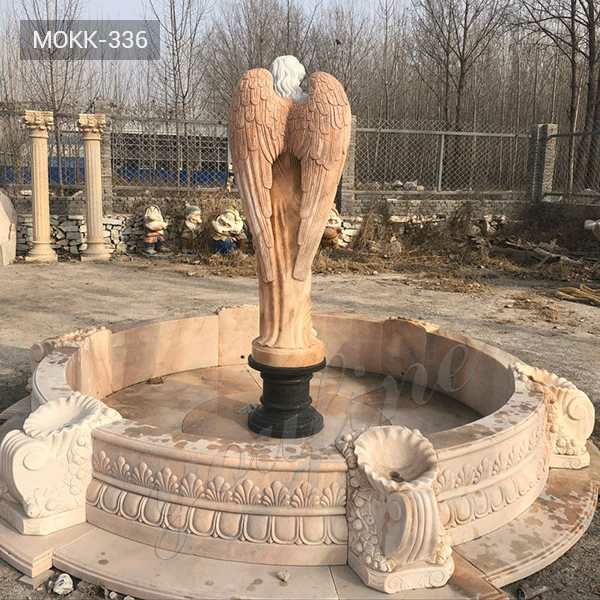 Enjoy the melodious sound of water gushing through these gorgeous marble fountains and rejuvenate your senses.We can custom create a marble fountain for you if you do not see something on our website. 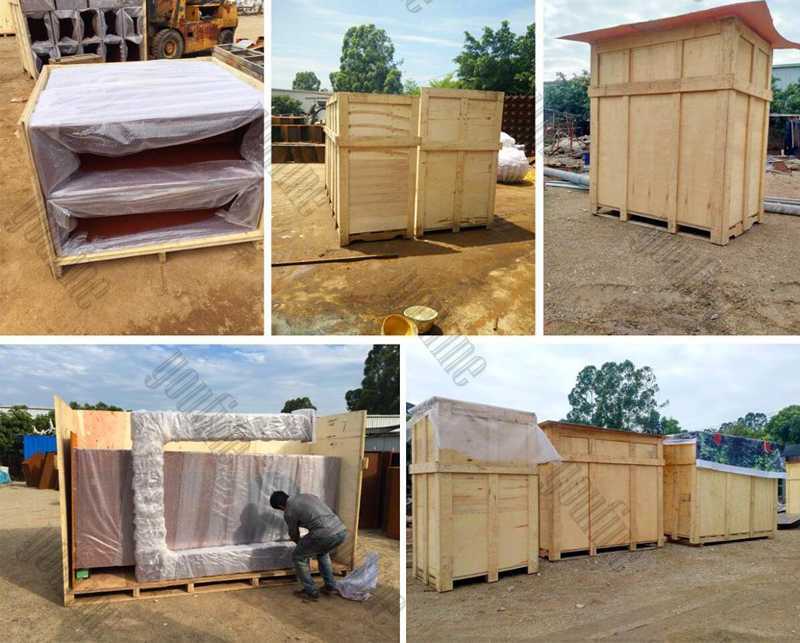 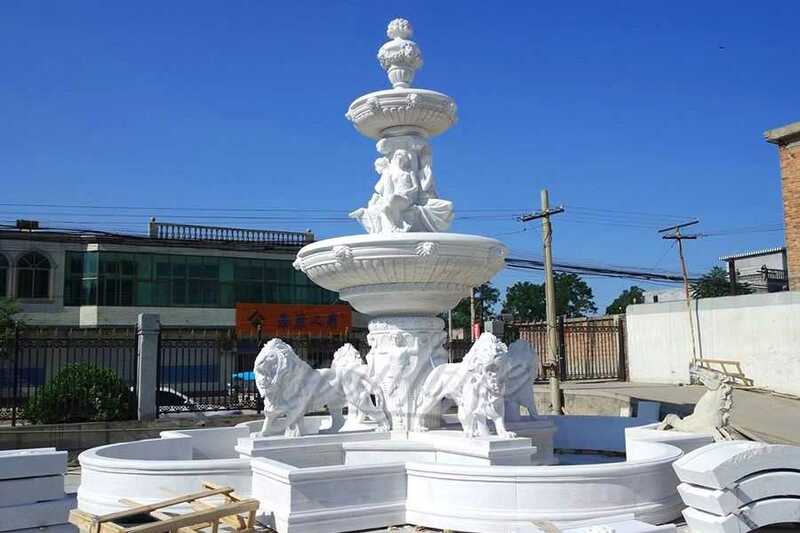 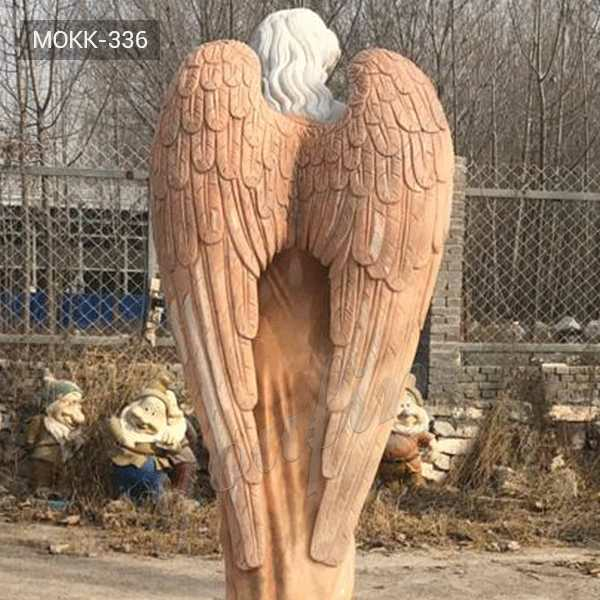 We have craftsmen and artists,who have taken years in honing their skills in crafting sculptures.So if there you have some requirement about Large Modern Beige Marble Garden Fountain,or want to custom made any sculpture in marble,please contact with us right NOW !